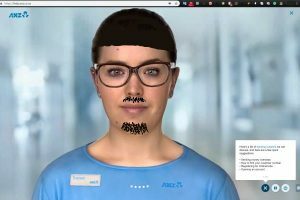 Soul Machines, the Kiwi start-up which has crafted convincingly realistic avatars to put a human face on otherwise characterless chatbots, has upped the ante in the chatbot space by offerings a tool to enable customers to quickly and easily customise their digital humans. The Digital DNA tool provides companies wanting to humanise digital customer service with a means of crafting digital humans, right down to the colour of the avatar’s eyes, the shape of their face, wrinkles and even blemishes (chatbots with zits? whatever next?). Soul Machines have already had a significant amount of success, with their digital humans in use at companies including ANZ Bank, Autodesk and the Royal Bank of Scotland. Automaker Daimler has also invested in the company. Where the process of creating and rendering a photo-realistic human face has traditionally been a labour-intensive process typically requiring both specialised hardware and software as well as a significant investment in time, Soul Machines says their Digital DNA tool can create photo-realistic humans in mere minutes. This is because Soul Machines has created numerous digital humans, including their intelligence and physical characteristics, with the captured data now being used to create a “virtual gene pool” for the Digital DNA offering. “This gene pool is used to synthesise new digital humans by blending Digital DNA together. This allows Soul Machines to create a completely new digital human in minutes versus the months it previously took,” Soul Machines says. The 3D rendered human faces are about as close to the real thing as it is possible to get. Don’t take my word for it, test it out for yourself at the ANZ website with their Soul Machine Chatbot, Jamie. She coped with my standard banking questions and even managed to field several curveball questions with something approximating a sense of humour. Gartner is bullish about the outlook for AI in customer relationship management. Their report Forecast: The Business Value of Artificial Intelligence, Worldwide, 2017-2025, forecasts the global business value derived from AI to grow from US$1.2 trillion in 2018 to US$3.9 trillion by 2022. That said, while Jamie managed to be both expressive and articulate, the uncanny valley was still very much a thing. The phrase ‘uncanny valley’ may sound like a UK soap opera, but it also refers to the typical emotional response that occurs when people encounter a robot that is almost, but not quite, human in appearance. The term was first coined in 1970 by Japanese roboticist Masahiro Mori. He found that as robots became more human-like, people tended to see them as a more acceptable option than their mechanical looking counterparts – but only up to a point. When robots got close to, but not quite, human-like, people tended to become uncomfortable. In short, Jamie may look and sound human, but only up to a point. And here at iStart, we’ve had some reservations. Despite that it’s easy to see why there is optimism around digital humans. From a business perspective using AI and super-realistic chatbots for support and the personalisation of customer communications allows businesses reduce support costs and will also free up staff to focus on business priorities. However, a sizeable risk also underlies their optimism. What about how your customers might feel about engaging with a chatbot? Those with pressing problems they want to get resolved will almost always choose to deal with a human rather than the inflexible and canned responses of a machine. Besides, venting at a chatbot isn’t ever likely to be a satisfying experience. Many customers stuck with the choice of a call centre in the third world or dealing with a chatbot are likely to feel it’s a case of being caught between the devil or the deep blue sea. Even if the human chatbot at the other end is ultra-realistic, there needs to be caution when leaving the most sensitive part of your business (the customer experience) to AI. Even if AI continues to evolve to develop machine consciousness as realistic as Soul Machines virtual agents, they are unlikely to be able to capture and understand the subtle nuances of interpersonal communications anytime soon.